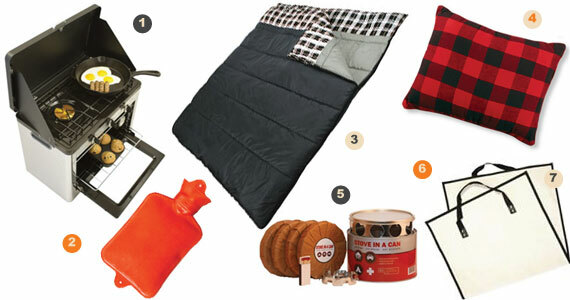 Cuddle up while camping in this two-person sleeping bag by American Trails. 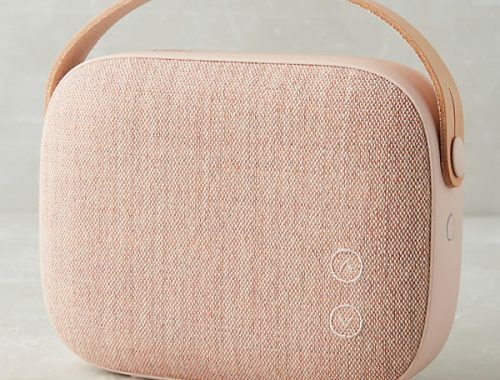 The comfortable bag can be opened from the inside by either person and is made of machine-washable fabric for easy cleaning. The fill insulates sleepers in mild-weather camping conditions. 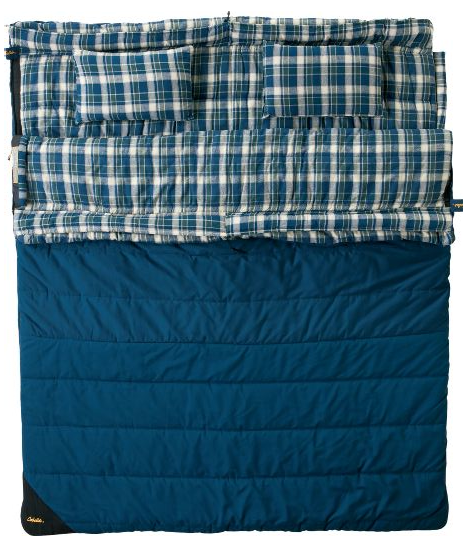 For camping in colder climates try the King Solomon Sleeping Bag 15 degree doublewide sleeping bag. It will keep you warm in weather as low as 45F. 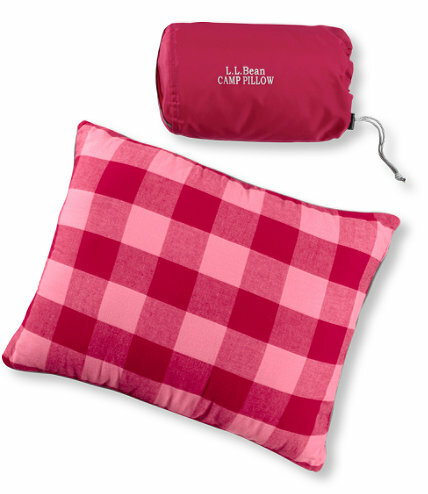 You’ll sleep better at night with a camp pillow . 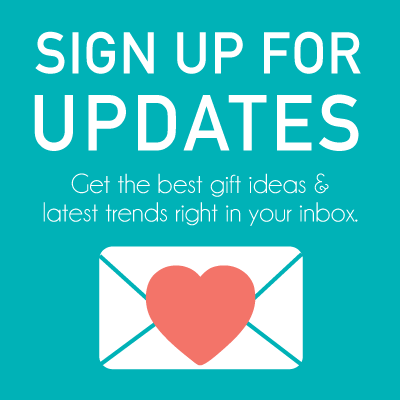 It is lined with soft cotton flannel on one side and brushed polyester on the other. The pillow is stuffed with firm polyester fill that offers excellent support and includes a water-repellent stuff sack. 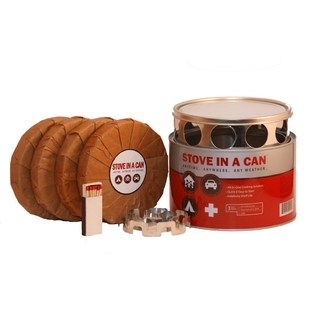 Stove In A Can is a new, all-in-one patented cooking platform that makes the ideal recreational and emergency stove. Perfect as a heat source, for cooking in emergencies, as a food storage companion, as a lightweight and reliable camping or backpacking stove, for cooking burgers and brats at the tailgate party, or simply for roasting hot dogs and marshmallows in the backyard. The Uniflame Heavy Weight Canvas Log Tote will make your life easier collecting fire wood on your camping trips. It allows you to collect many more logs on each trip giving you more time to roast marshmallows & make smores. A serious camping trip calls for some good healthy meals cooked with this Camp Chef camp oven. 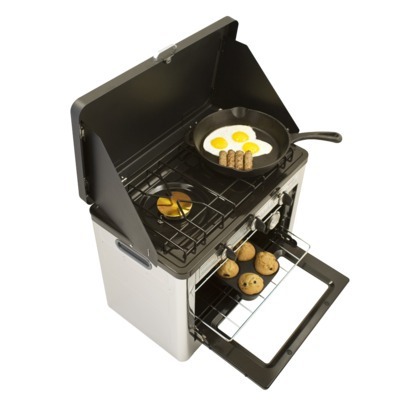 This little oven and stove set runs on propane and includes an electric ignition. It weighs only 34 lbs. and is also great for tailgating and outdoor parties. 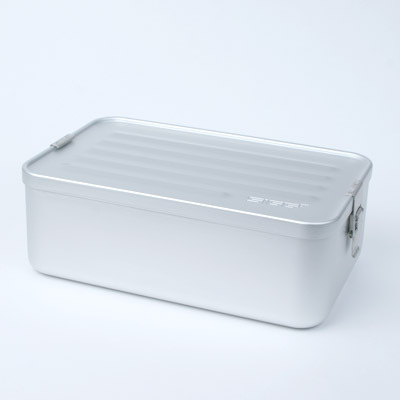 Far more attractive than most food containers, these durable aluminum food storage boxes demonstrate a typically Swiss approach to addressing an everyday need. Suitable for food storage due to their taste-neutral interior coating, the boxes feature a rubber gasket and flip closure which makes them leak-proof. 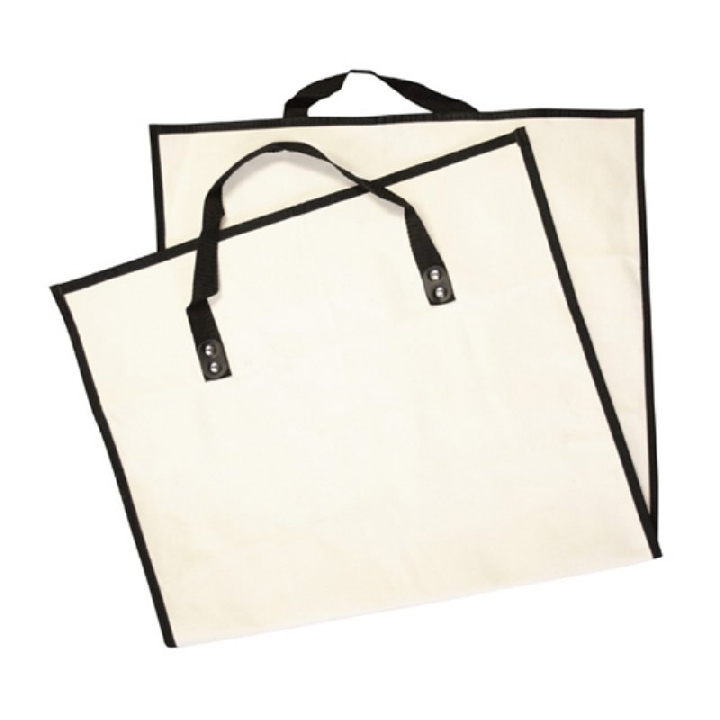 Perfect for lunches and picnics, they are an ecologically sound alternative to disposable plastic bags and containers.